FOLD highlights a selection of accordion-fold books from the extensive collection of artists’ publications owned by Stephen Perkins (Madison, WI). The exhibition features renowned artists such as Jennifer Bartlett, Ginger Burrell, Christo, Robert Indiana, Niki de Saint Phalle, Kiki Smith, Buzz Spector, and Dennis Oppenheim, and explores the art of accordion books, also known as concertina, screenfold, leporello, oriental-fold, and zig-zag fold, as panoramic spaces for images and text as well as three-dimensional sculptural objects. 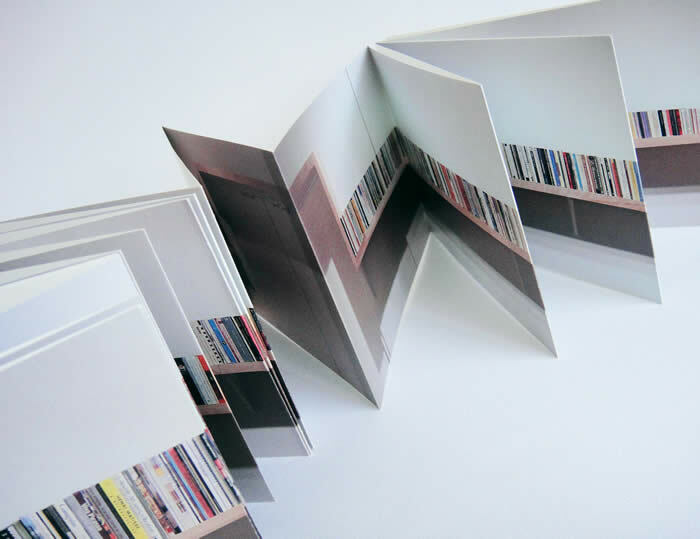 Encompassing the 1970s up to the present moment, FOLD offers a survey of accordion books that explore the creative possibilities offered by this unique publishing medium. Curated by Annemarie Sawkins, PhD (Milwaukee, WI). Join one of our drop-in tours to learn more about FOLD. Free with general admission. Led by one of our Curatorial staff members.